It's been a busy and fun week, been doing IT support in work so turning things off and on again ;) Going to Southampton and taking part in a Fashion Show. Can't wait for a lie in tomorrow! No, you are not seeing things. I AM wearing trousers. Total shocker, I bought them for Where's Wally fancy dress but it seemed a shame not to wear them again so I paired them with my Topshop biker jacket and a Peacocks floaty top. 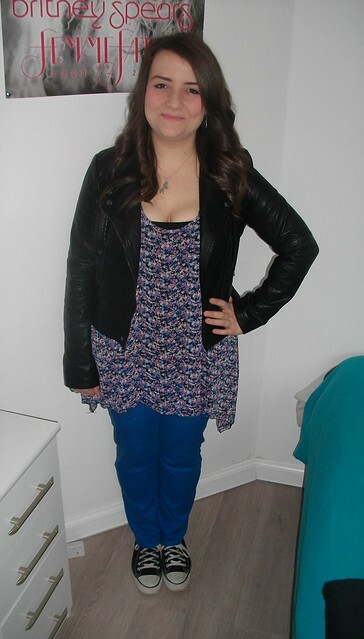 The jeans are a little baggy on the leg but they were about £12 for Peacocks so I can't complain really. I'm wearing my Topshop Innocent lipstick. 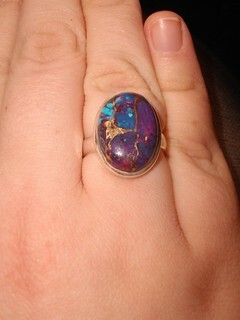 I picked this ring up in Afflecks when I was in Manchester a few weeks ago, I wear it practically everyday. So nice to have a real silver ring so it doesn't tarnish. I wanted a turquoise ring but I though this was a little different. 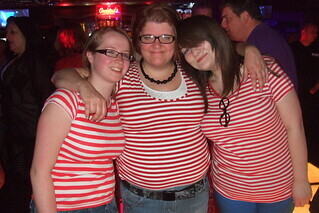 Me in my Where's Wally fancy dress, it was boiling in the club so that hat come off straight away. Had a great night in Southampton dancing to cheesy music and drinking alcopops. Like being 17 all over again. Yesterday was such a fun day! I got to walk the St David's Fashion Show catwalk with these three lovely ladies, get pampered in Kamigata and loiter around some handsome male models. I was also given some gift vouchers to spend in the centre which I know will get blown in all the sales that are on at the moment. 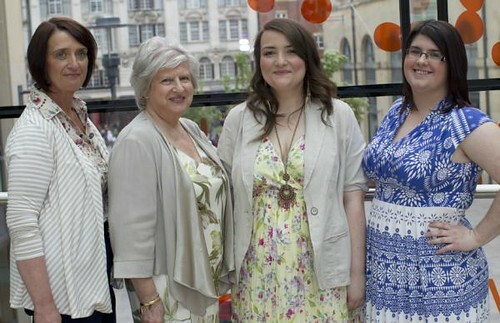 There was a lovely atmosphere in St David's yesterday and the team put on a really good show. Some real models from the show looking very glam. No idea how they do it, I was so scared and didn't even have to walk in super high heels like them. Hope you all enjoyed your weekend as much as I enjoyed mine! And that ring is gorgeous ! Love the biker jacket and ring! Love all of these outfits! You look lovely in jeans. Love the trousers, and the ring! It's definitely different, really nice! Hope you had fun at the fashion show! 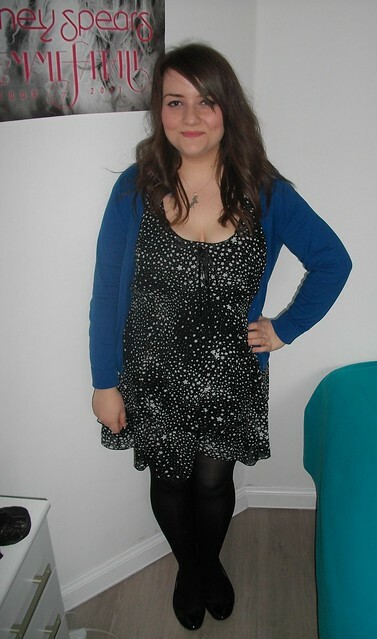 Looking lovely Gemma! And why oh why did they discontinue that lipstick? Innocent was MY FAVE. You look amazing. End of.